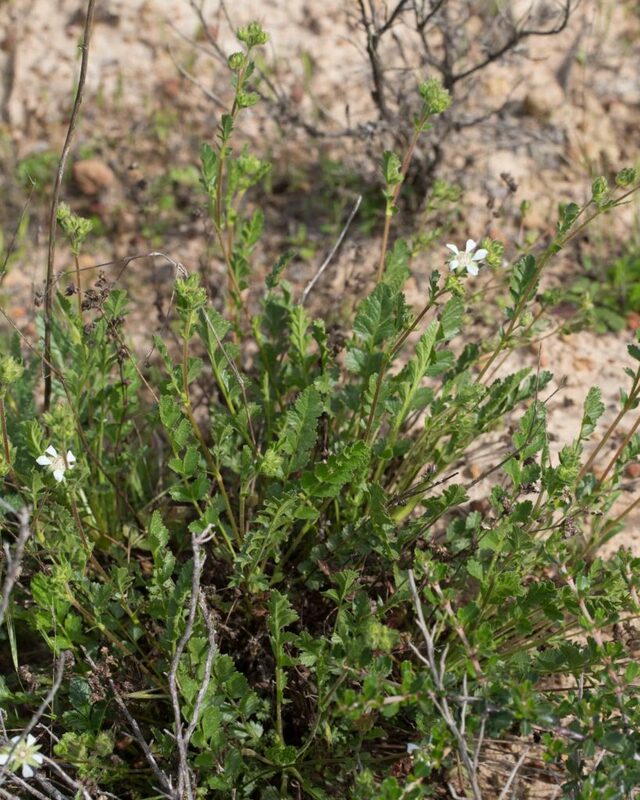 This is a common, leafy, spreading plant. 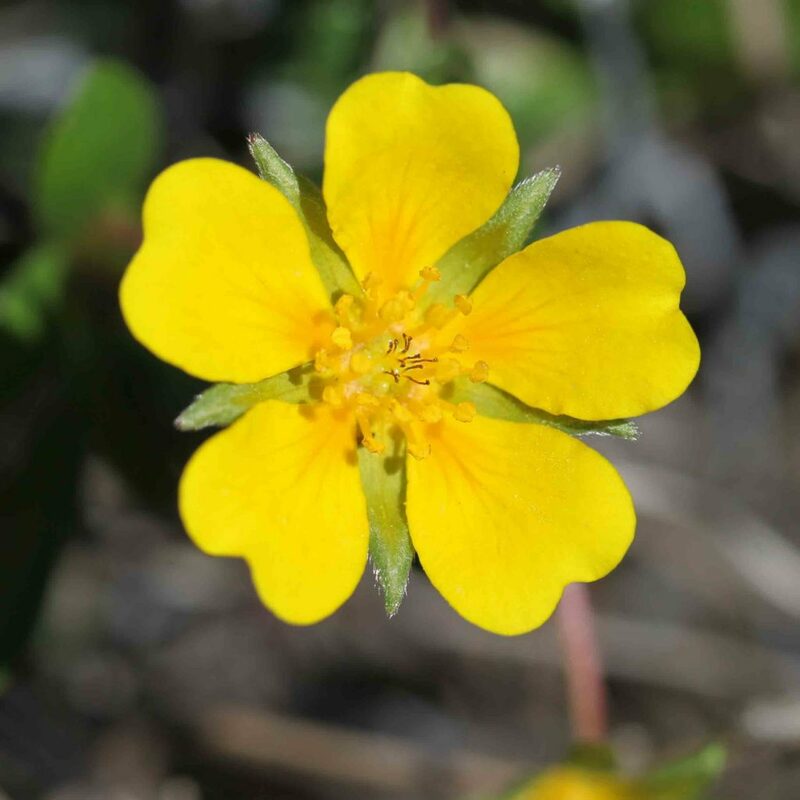 The 5-petaled flowers are generally white but may be yellow, with many (> 20) yellow stamens with a narrow filament and round anthers. 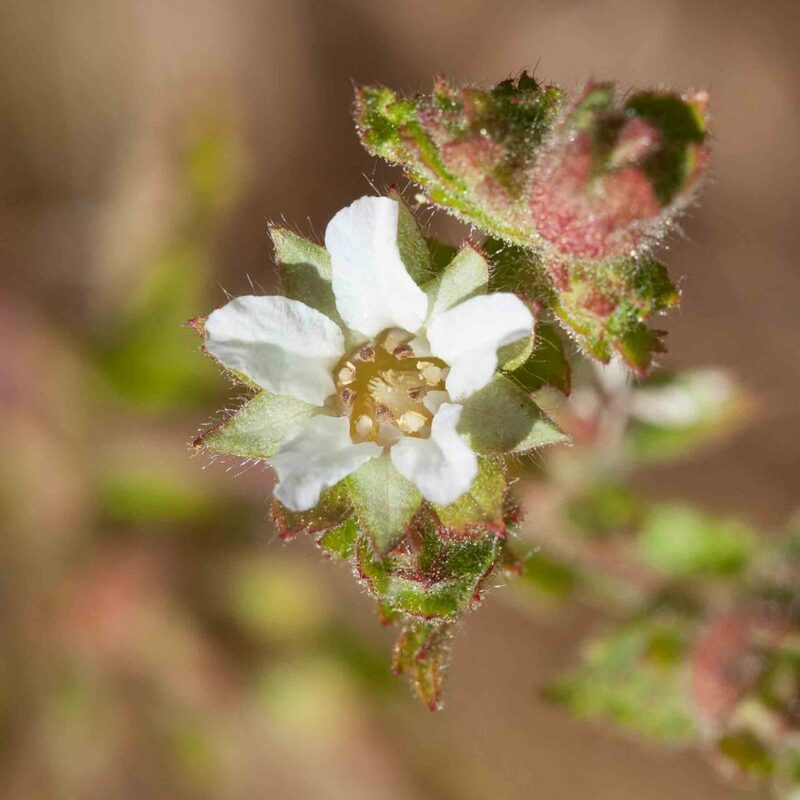 At first sight this might be mistaken for Leafy Horkelia (Horkelia californica), but the number and appearance of the stamens are quite different and the flower itself is more open with more rounded petals. 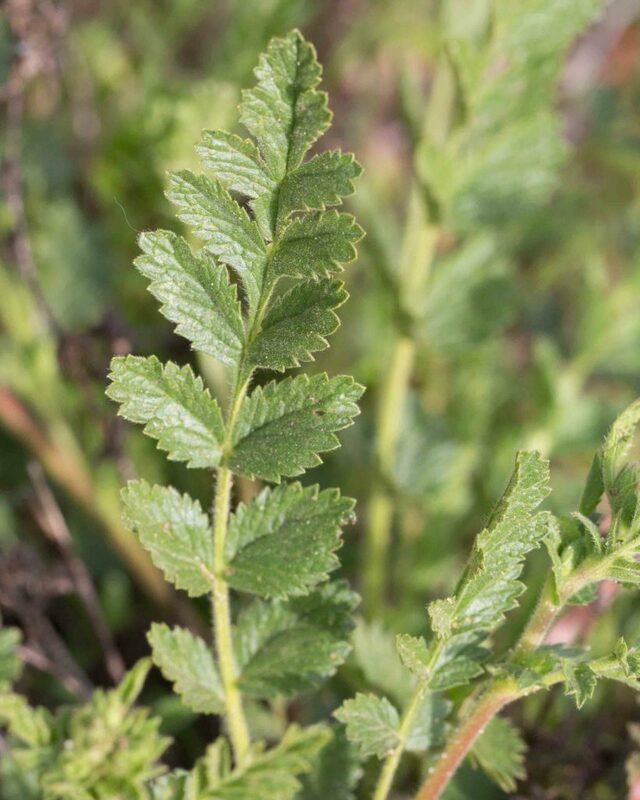 Leaves generally have 3 pairs of leaflets, each double-toothed, 9–17 per side. 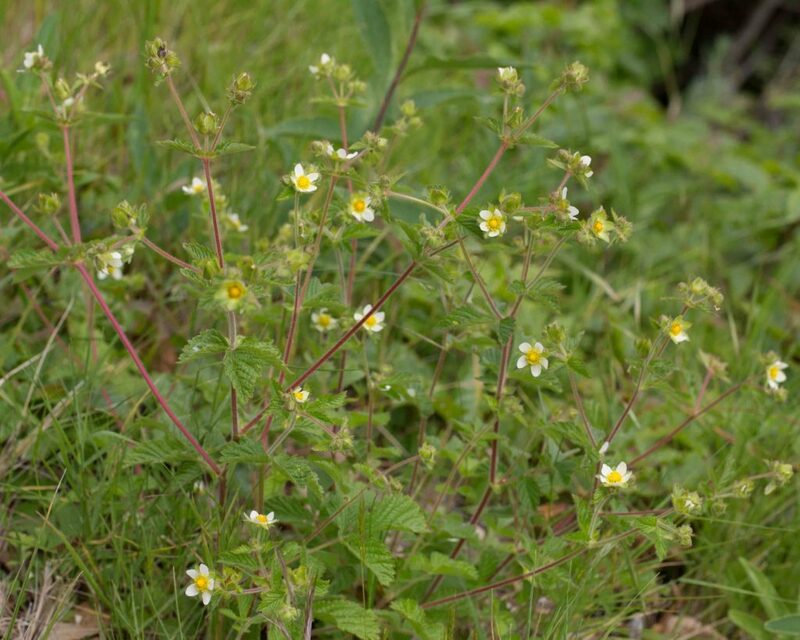 Like Sticky Cinquefoil (Drymocallis glandulosa), this is a common, leafy, spreading plant with white 5-petaled flowers. 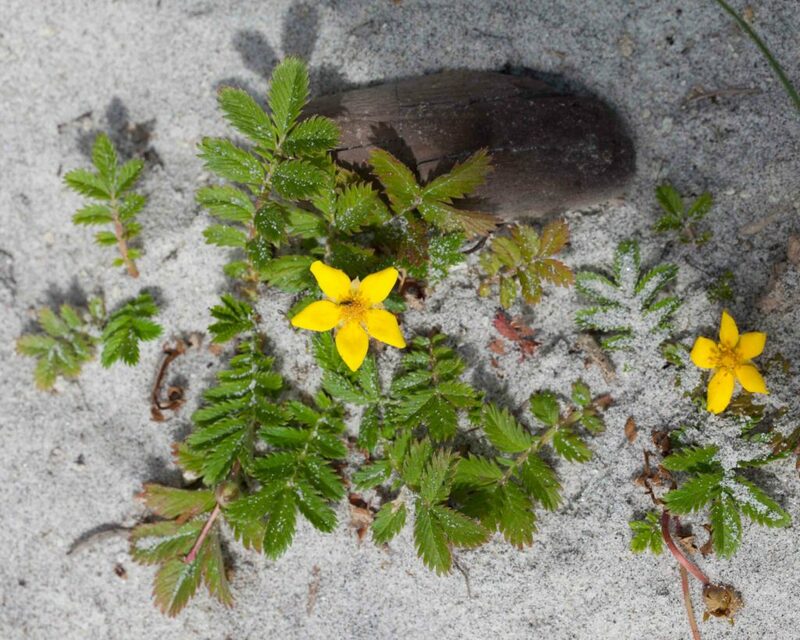 At first sight the two flowers might be confused, but the Horkelia has precisely 10 stamens which are white and flattened. 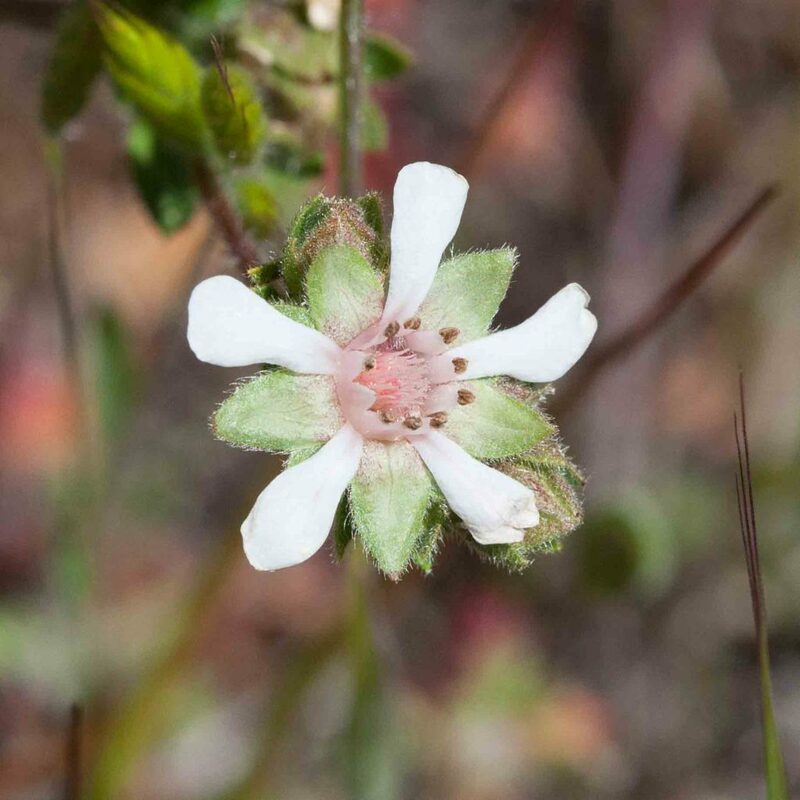 Note that the inside of the sepals is not red-mottled, unlike those of var. 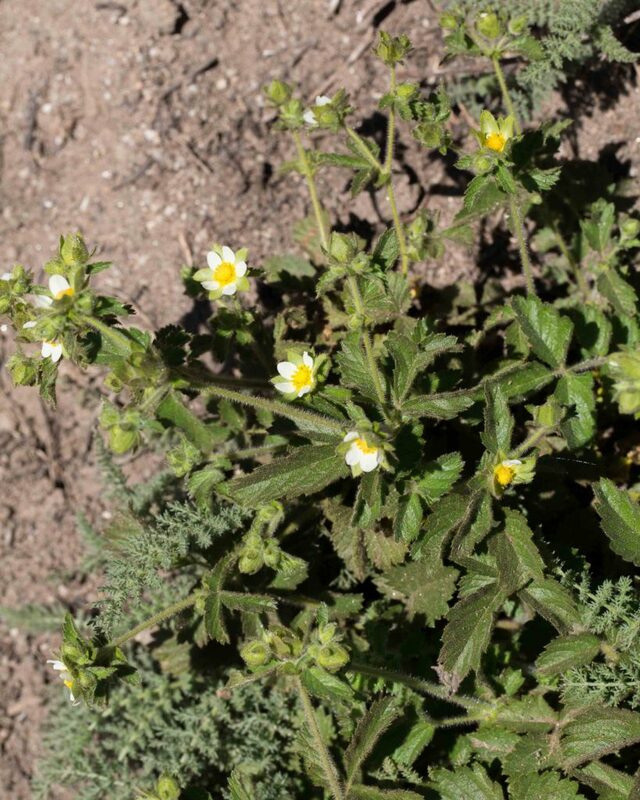 californica. 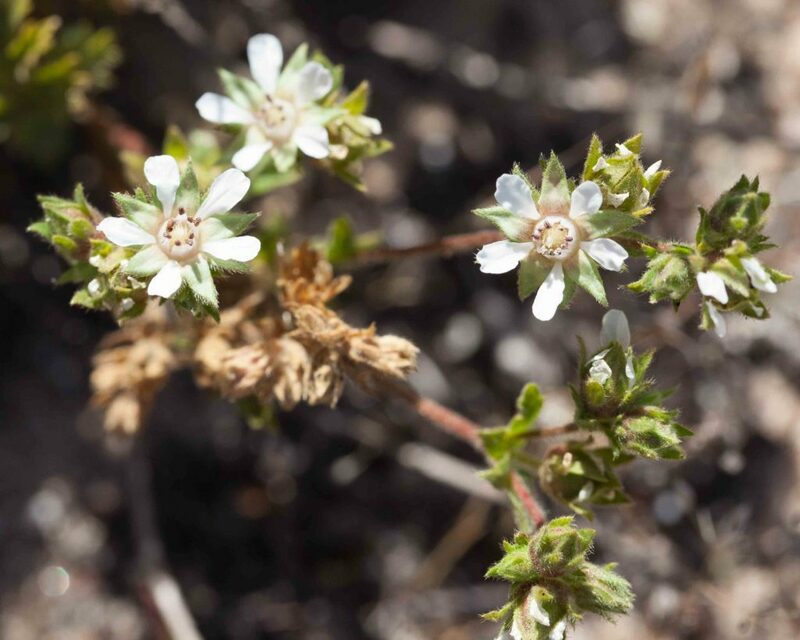 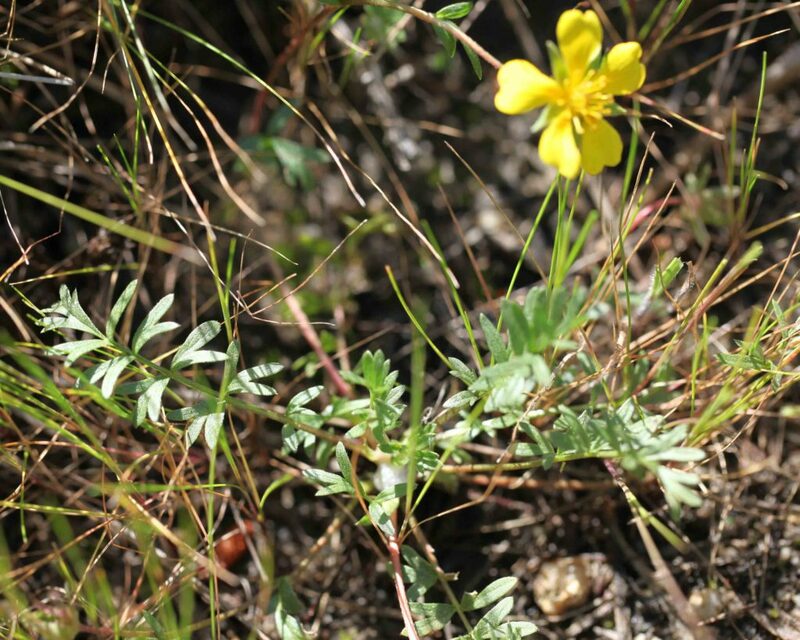 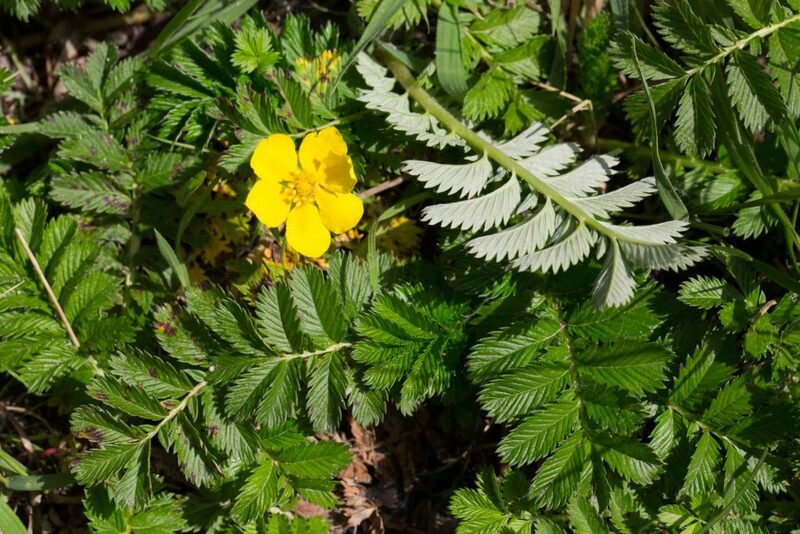 Its leaves are, like Sticky Cinquefoil, double-toothed but with 3–5 leaflets per side. 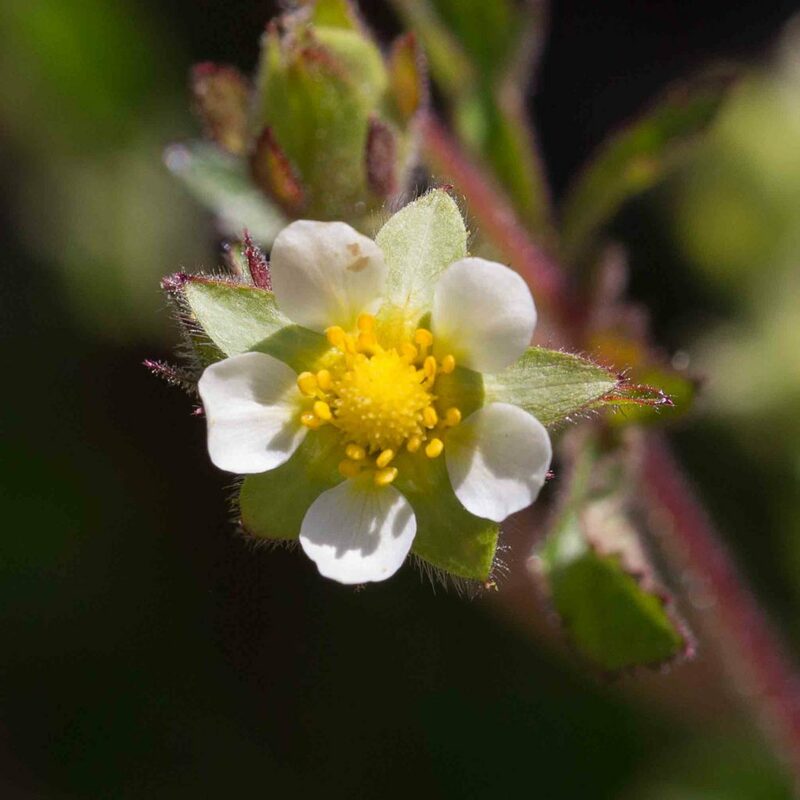 The flowers are similar to other horkelias except that the petals are usually narrower so more of the sepals are visible and the petals equal or exceed the sepals in length. 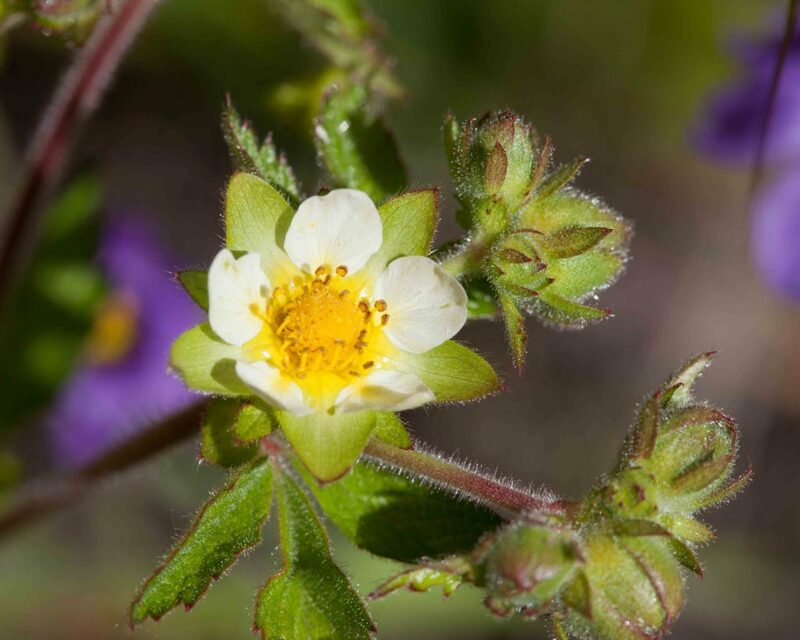 Unlike other horkelias, bractlets are shorter than the sepals. 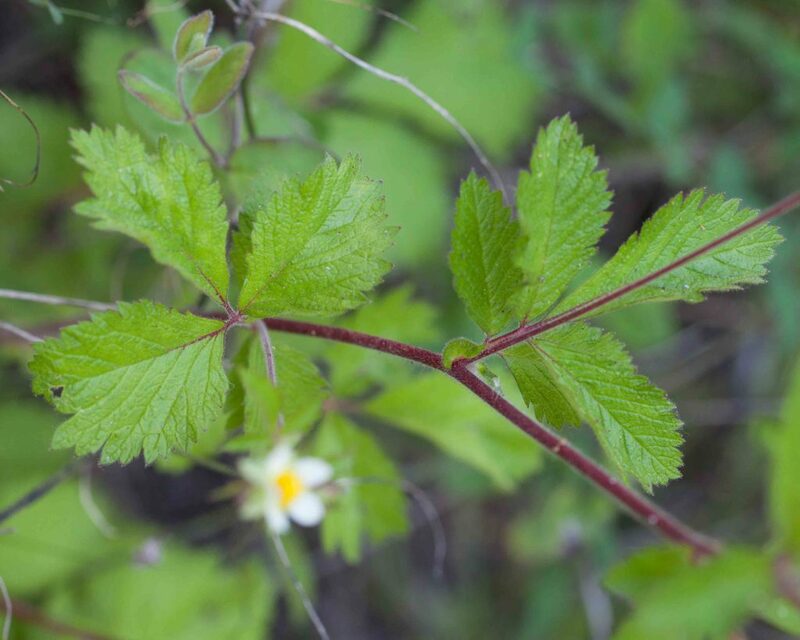 Leaves are pinnate with 5–12 leaflets per side, with rounded teeth and at least the terminal leaflet having a wedge-shaped base. 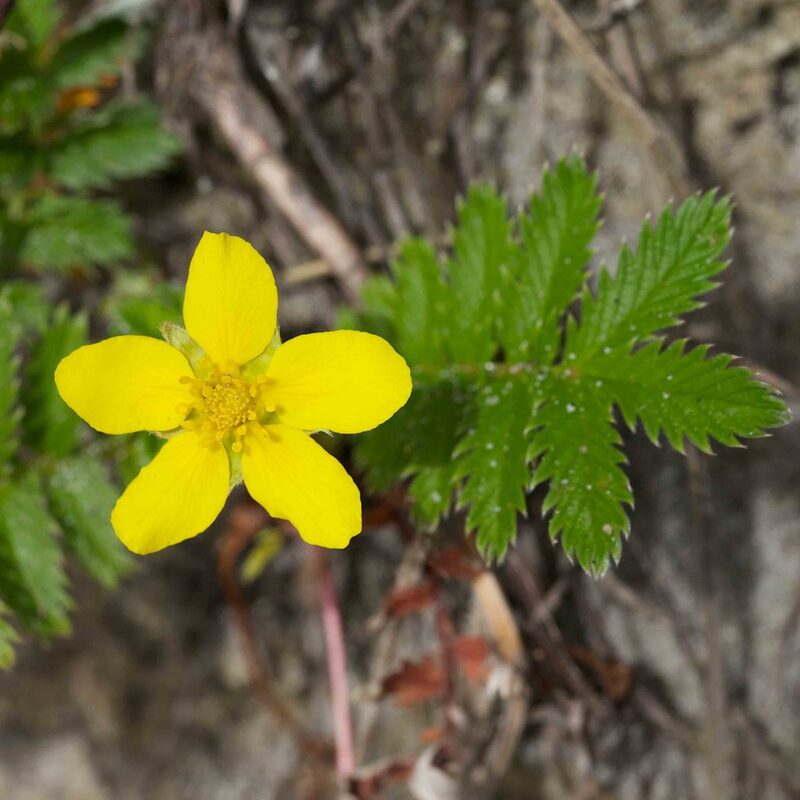 This is a common plant, easily recognized by it bright yellow, 5-petaled flowers and pinnate leaves with their 5–10 sharply-toothed leaflets on each side. 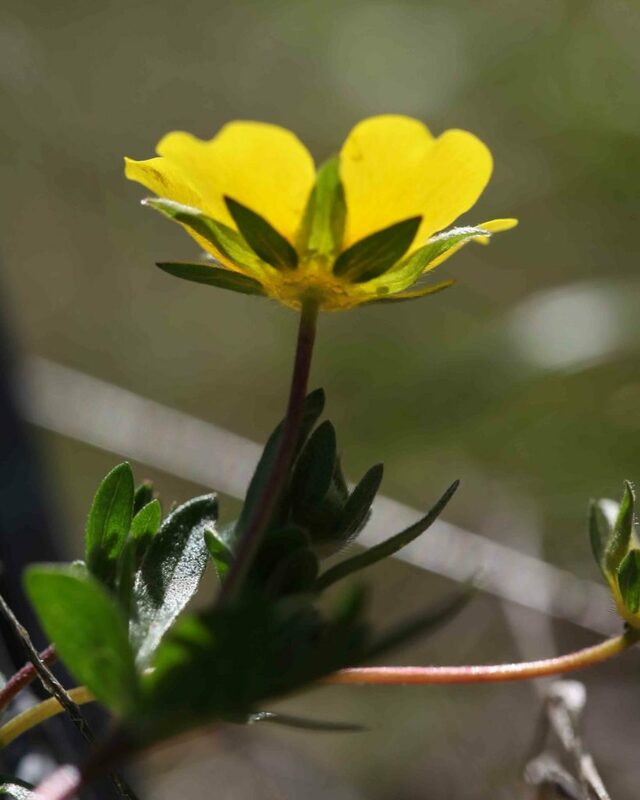 Flowers have 5 bractlets and 5 larger sepals. 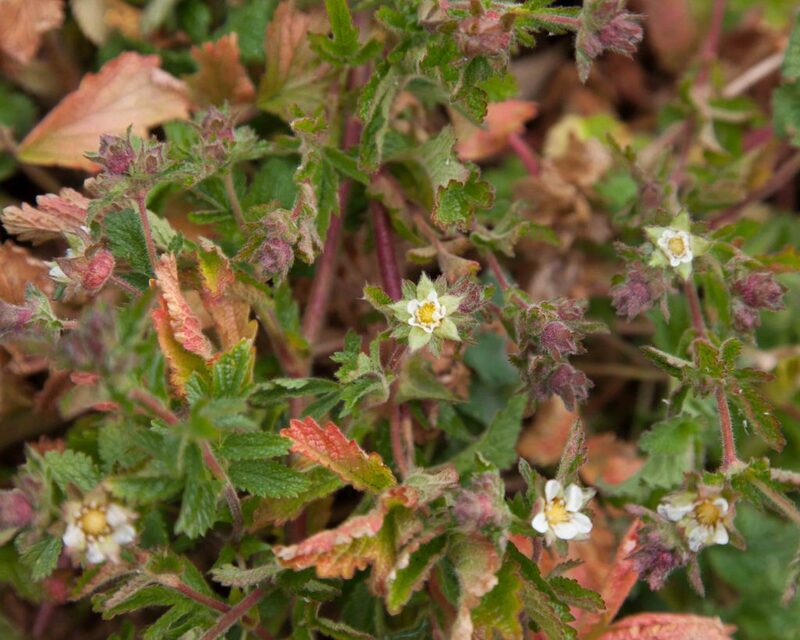 The common name derives from the silvery color of the underside of the leaflets. 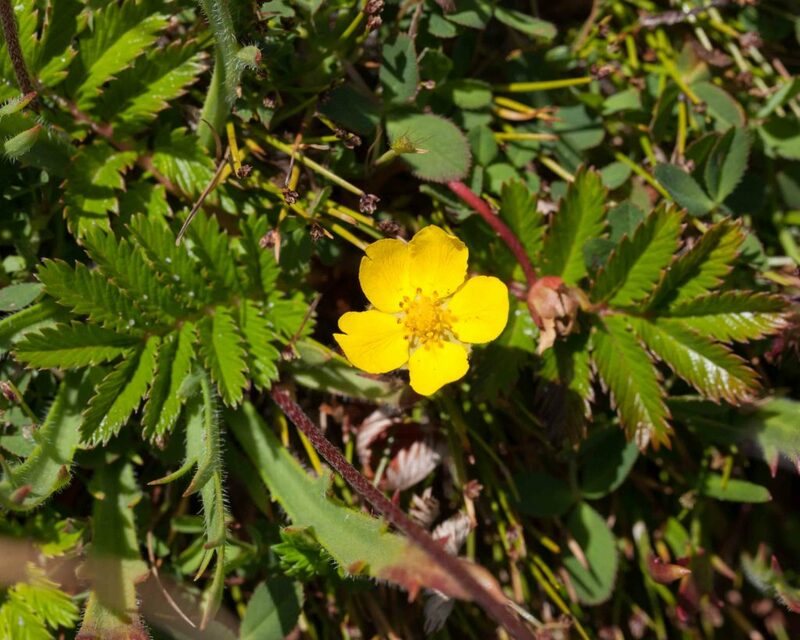 This is extremely rare, found in Monterey County only in Del Monte Forest and Point Lobos where some plants have apparently been introduced. 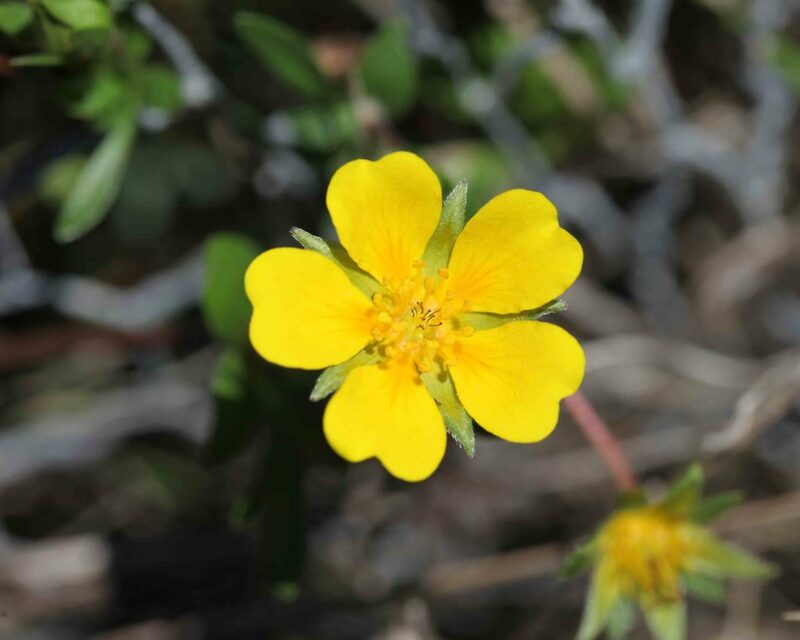 It has 5 bright yellow, heart-shaped petals with orange rays radiating from the base of each petal. 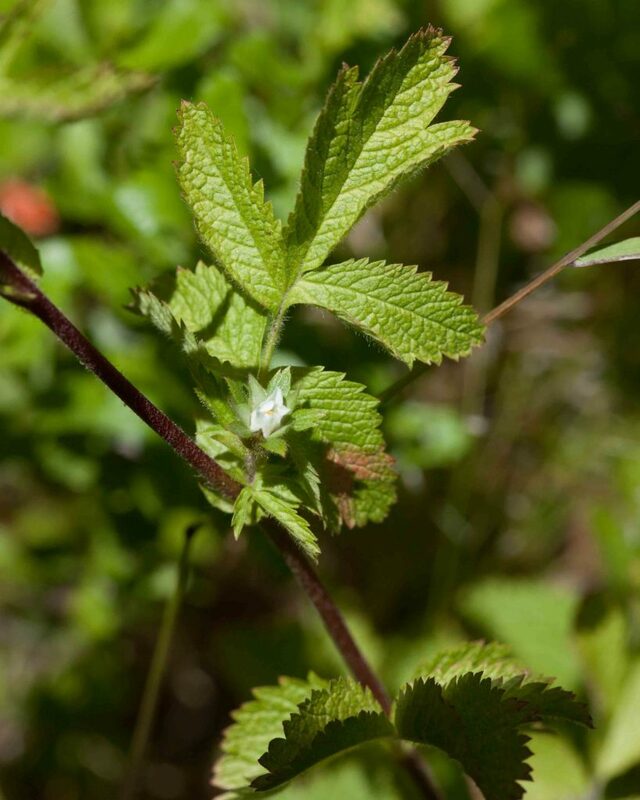 The leaves are pinnate, with 3–6 leaflets on each side, the larger leaflets wedge-shaped with 2–5 teeth.